Ideas for boys' parties are hard to come by. 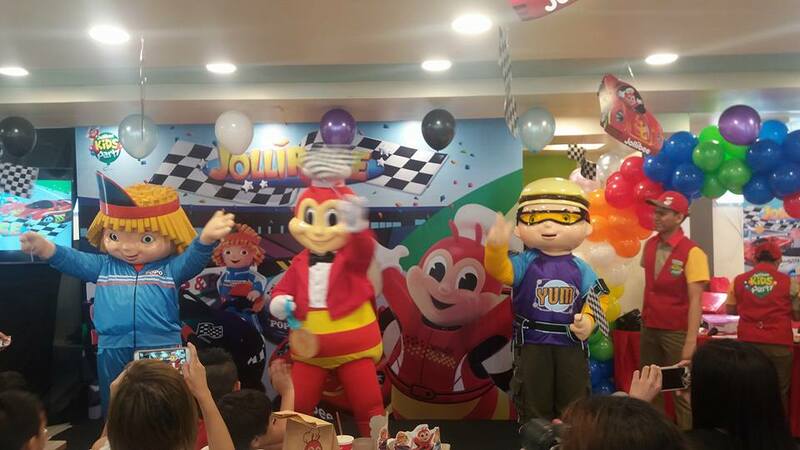 If you have a little guy of your own, and is looking for an awesome boys' party theme then the JolliRace is for you. 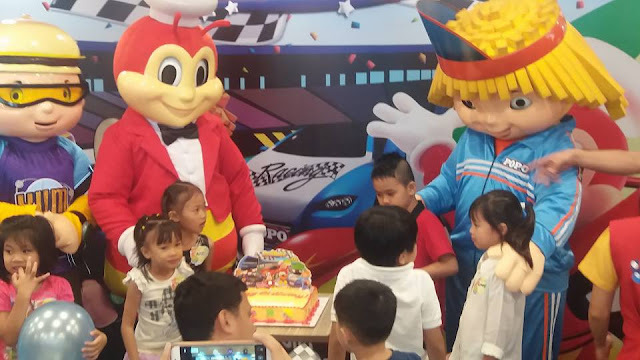 Jollibee's new party for little boys puts the spotlight on cars. Boy are sure to have a blast on their special day with balloons, relay games, awesome prizes, and a delicious cake prepared to give them a birthday party set at full speed. 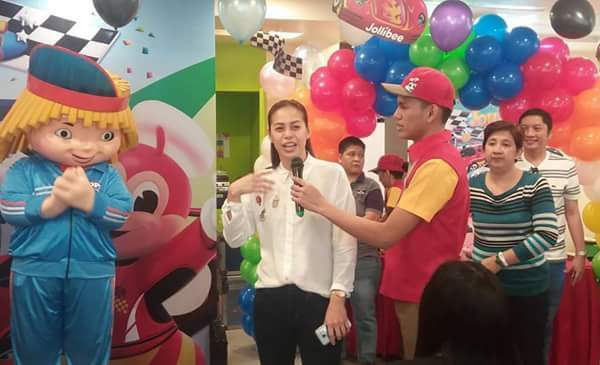 Media guests had first dibs on the JolliRace birthday theme when it was officially lauched last March 18, 2017. 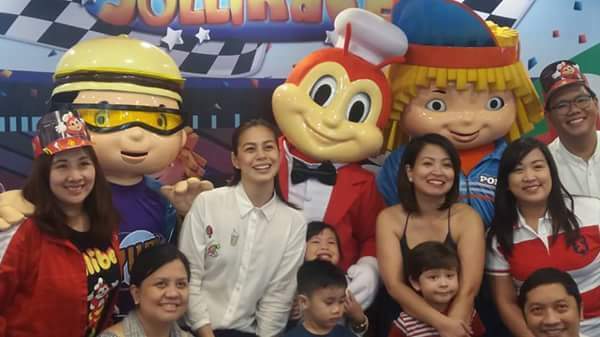 Celebrity mom Delamar Arias with her sons Cooper and Parker, and Bettina Carlos with daughter Gummy and nephew Camilo Marco joined in the fun. 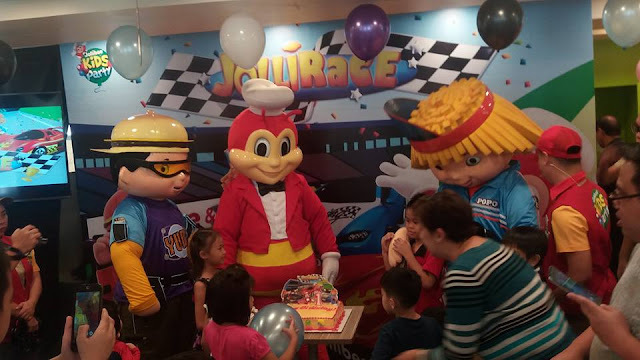 True to the Race Car Round-Up theme, boy-friendly decorations, photo wall and standees featured the race cars of Jollibee, Yum and Popo. 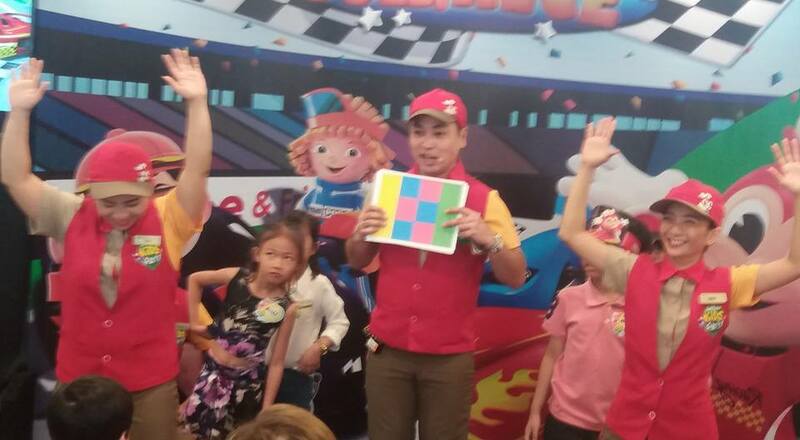 The Grand Prix experience had Games, party hats, loot bags, balloons, and prizes. Party favors were all in-tune with the race car theme. The birthday loot bag includes a die cast car inside. Jollibee, Yum and Popo will make your party memorable as you savor langhap-sarap food like Chickenjoy, Jolly Spaghetti and Yumburger. Parents who have girls can opt for the Create-your-own-Package where you can choose from: Jollitown, Hello Kitty, Fun-tastic Factory and new JolliRace. They can choose to book in the store or in your chosen location.